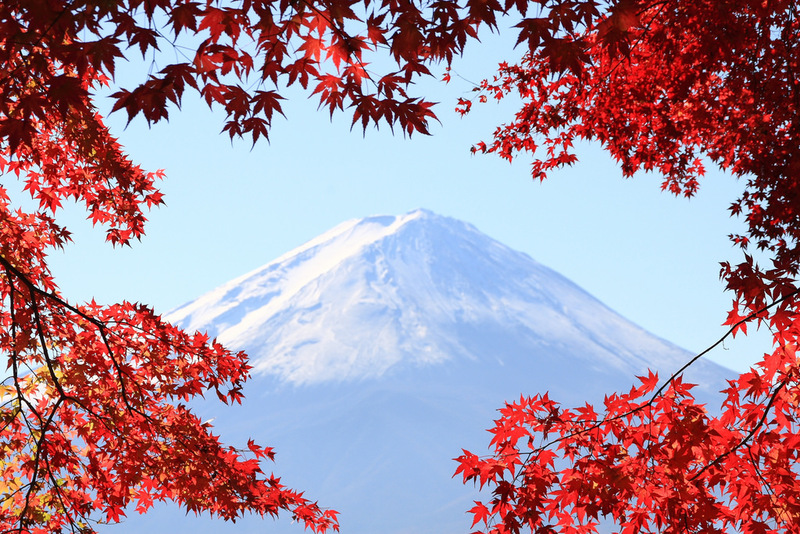 We are approaching mid-November, and time has come to enjoy Tokyo's famous Autumn Colors! If you are still looking for a place that will guarantee you the best Instagram pictures of this season, we hope our Top 5 will help! An Edo-style garden, Rikugi-en offers illuminations for Spring and Autumn, when you can admire the beautiful Japanese cherry or maple trees by night. For a small entrance fee of ￥300, you can enjoy a peaceful evening by the garden's lake. Recommended viewing period: mid-November to early December. With its construction starting in 1629, it is one of Tokyo's oldest park. The park's main pond, situated at its centre, is surrounded by maple trees; in autumn, their orange and red reflection in the water offer a beautiful scenery. The entrance fee is ￥300, for a best viewing periode between late November and early December. The most spectacular Autumn view in the Park is without a doubt its Gingko avenue: 300 metres of golden Gingko leaves, visible from late November to early December. And, the good news is, the entrance is free. More than a century old, and with nearly 9000 trees, Ueno Koen is one of the best places in Tokyo to witness the change in seasons. Whether it is for Spring of Autumn, the Park attracts more visitors than any other in Tokyo. The entrance is free, and Autumn leaves can be admired from early November to early December. Like Meiji-Jingu Gaien, Kokuei Showa Kinen Koen offers its visitors a beautiful alley of a hundred 20 metres-high Gingko trees! In Autumn, the fallen leaves create an amazing golden carpet that stretches on for 300 metres, an absolute must-see in this season. The entrance fee is ￥410, and visitors can enjoy an Autumn festival with various activities from November 3 to 26. Which is your favourite spot, and where would you like to enjoy the Autumn colours this year?